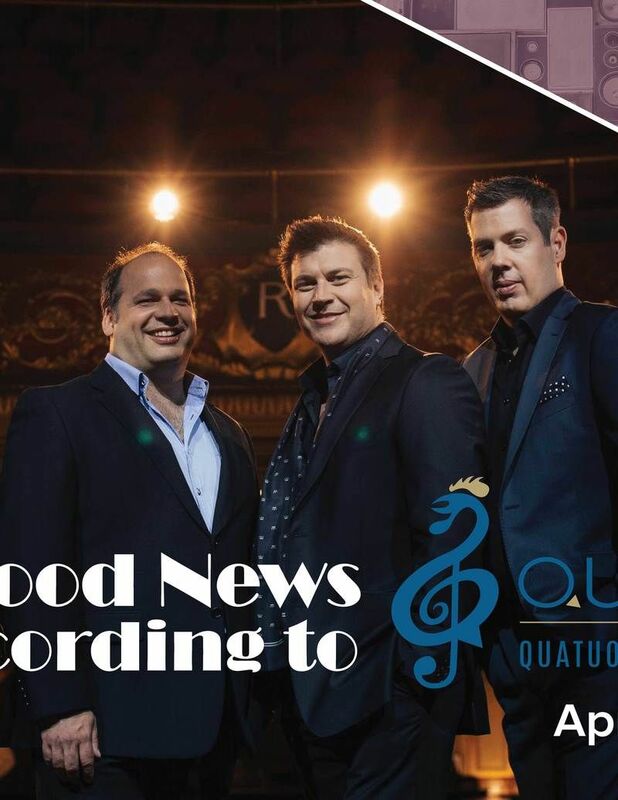 The Good News According to Quartom is a concert featuring a variety of a cappella songs of all kinds: Spiritual, Classical, Romantic, French, opera and includes also popular songs by French and English composers such as Félix Leclerc, Georges Brassens and The Beattles and always performed with a classical technique that reflects the essence of the quartet’s identity. At times serious, at times playful, these four highly skilled voice musicians offer an overview of singing of the highest quality. The performance is coloured with humorous dialogues and certain character traits inspired by each of the members of QUARTOM.